Leslie Jones has been behind the chair for 6 years. She attended cosmetology school in El Paso, Texas and started her first job in Arlington, Texas with an Aveda lifestyle Salon. She trained in Aveda cutting, coloring, and styling techniques. After 2 years, life took her to Eugene, Oregon where she worked at a Redken salon. 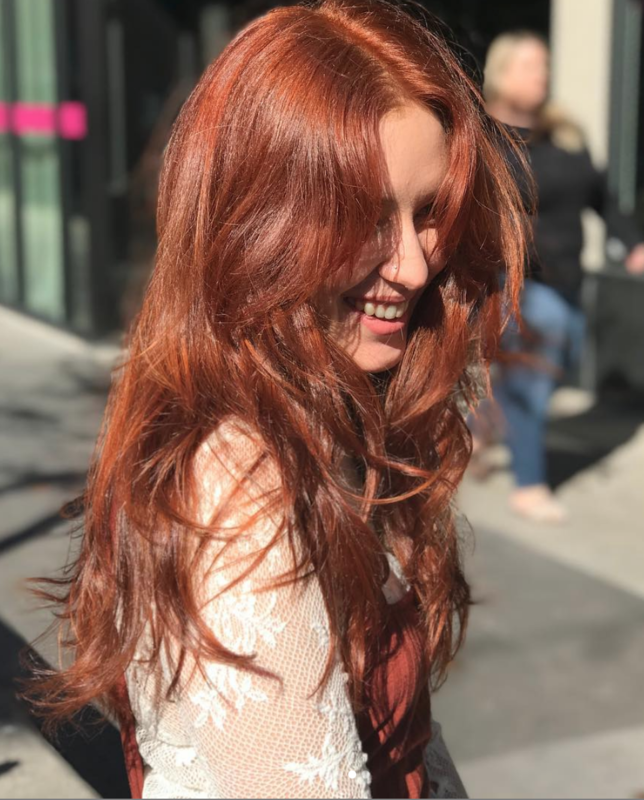 There she had the opportunity to take multiple Bumble and Bumble and Living Proof cutting classes, Moroccan Oil styling courses, and various color and balayage classes from Redken's talented artists. While she's new to Austin, she can't wait to keep learning and improving her skill set as a stylist with Jose Luis Salon. While she's been licensed and insured in a salon for only 6 years, she's been honing her craft on her friends and family since she was 15, and has loved every minute of it. Outside of her love of all things hair, she has a B.F.A. in Theatre from the University of Texas at Arlington, so maybe you'll catch her on stage somewhere in Austin, or just out exploring the incredible food this city has to offer.